Top 5: Manchester curries for National Curry Week ft. Amma's cauliflower. In case it escaped your attention it’s National Curry Week this week and we don’t need much more of an invitation to sing the praises of some of the best curries in the city. Here are our top five, for five excellent reasons. The best, clay oven baked naan-style bread, cooked as you watch. Manchester’s enduring NQ canteen serves rice and your pick of a range of meat and veg curries (up to a maximum of three) at lunchtime for under £7. Despite the ‘theme restaurant’ feel of this modern outfit in the new pedestrianised area around Home, the food is remarkably authentic. The changing lunchtime thalis are a highlight. 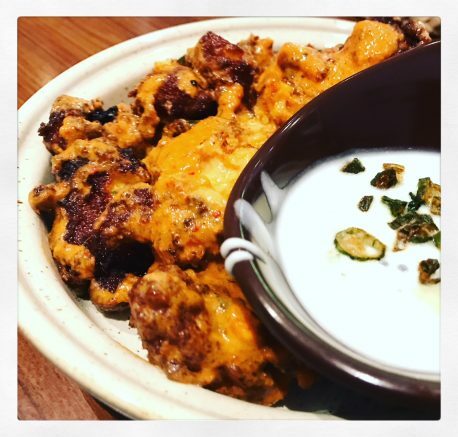 New south Indian restaurant, Amma’s, serves a host of classics with a twist using local ingredients, but perhaps their most princely creation is this sticky Mangalorean cauliflower. This Ladybarn legend serves a pure veg menu in a casual setting. Everything rocks. Booking is recommended.